No words, just....Friday! And a long weekend for Hinglish Hoomans! 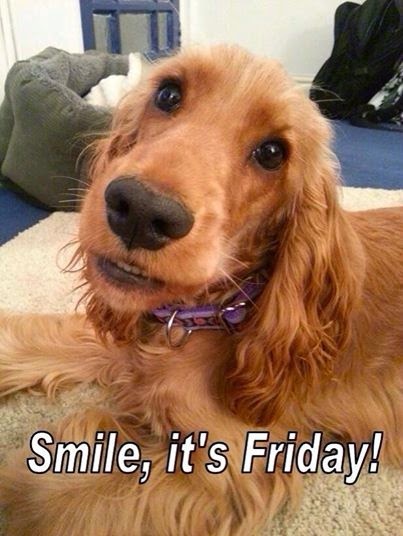 Have a fabulous Friday Lottie and hooray for the long weekend. Established in 2014, the blog of Lottie, an English cocker Spaniel, and her hooman. A UK (made in England) blog, for all things dog! Follow with Google Friend Connect! A UK Blog for all things dog! Dogs in hot cars - don't do it! © A Spaniel's Tail 2014. All text & images. Powered by Blogger.